Ever wished you can have an app on your mobile phone that gives you access to Facebook, Twitter, Google iCal, RSS reader, movie reviews, dictionary and many more for FREE? Now you can! Haha… I was introduced to Snaptu yesterday and realized that they actually have a mobile app(for all sorts of phones) that gives you exactly the integration mentioned above! I have tested in on both my N96 and 5800XPM and they both work perfectly! Once connected, some default widgets will be displayed and you can remove them and also add new ones from the catalog as you like. Logging into facebook gives you access to all the status updates and your message inbox. Clicking on a status update brings you to the profile page of the friend you selected. From there you can view their photos, profile and etc. Check out the video below to know more. Snaptu loads very well on the 5800 too! After installing, make sure you go to Settings > applications > installed apps > Snaptu > options > Suite settings and select onscreen keyboard OFF. This will allow the app to be displayed in fullscreen mode. In these screenshots you can see the RSS widget, Twitter and also the Movie widget called MyMovies. Watch the video below to see the smooth menu animations and also to witness how well Snaptu gives you access to Internet services. 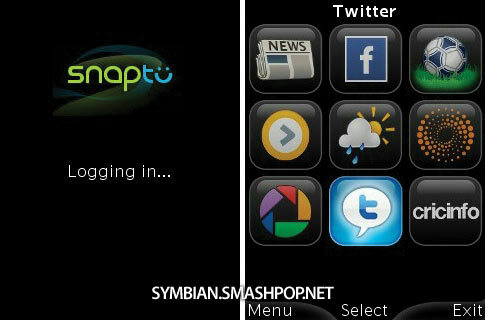 Visit Snaptu now and download the FREE application for you mobile! 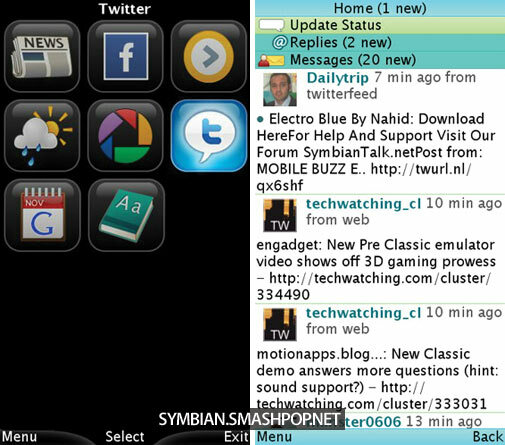 Hi all, finally a native Twitter client is released for S60 phones like N96, N85, N79, 5800 etc. Just launched today on their website, Gravity spots a fantastic interface and is a full featured Twitter client that supports multiple accounts, Twitter Search, Laconica and TwitPic. What an awesome interface on the 5800. Haha… On the main screen you get access to your timeline, Twitter search, images(from your phone) and an option to add a new account. Simply click on each twit and it opens up a submenu using the accordian style effect which gives you options to reply, retweet, unfollow, and buttons to visit links mention in the twit you selected. Here’s 2 screnshots of Gravity on non-touch S60 phones. Go download the trial version of Gravity now! 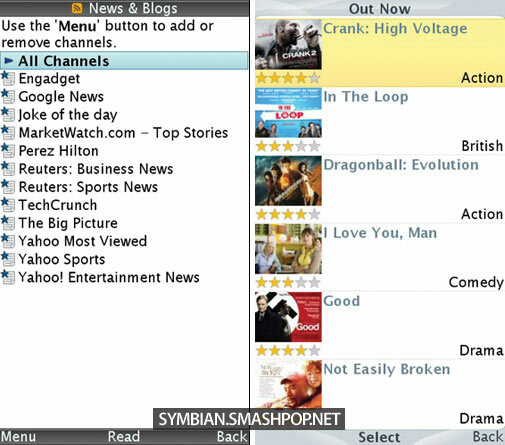 Nokia Betalabs has recently launched the much awaited Nokia Chat application for Symbian phones. This chat app takes advantage of the built-in GPS receiver so you can share your locations with your friends. What can you do with this app? Well, you can message friends, update your status just like Twitter or your facebook status. You can also share your locationn and find friends nearby.